Student journalists from VCU’s Capital News Service wrote a story about our work and others’, and the Associated Press ran with it! Now you can read about East End in the San Francisco Chronicle, the Washington Post, and U.S. News & World Report, to name a few. There’s video too — check it out here. We hope you’ll join us on Monday, January 15 — Dr. King’s 89th birthday — for a day of service at East End. It’s going to be cold, but don’t let that stop you! Dress warmly in layers and meet us at the cemetery at noon. Or join Erin and Brian at Oakwood Arts (3511 P Street in Church Hill) at 11 a.m. for coffee, tea, and a brief introduction to the history of East End and the community it served. Volunteers will carpool to the cemetery from there (about a five-minute drive). Tools, water, and light snacks will be provided on-site. We hope to see you there! WHEN: Monday, Jan. 15, from 12 p.m. to 3 p.m.
A few favorite photos (all by Brian Palmer) from earlier in the season. It’s gonna be cold tomorrow (what’s this about lows in the 20s?! ), so layer up. We’ll be starting at 9:30 a.m.
We hope you’ll join us on Tuesday, June 27, at the Robinson Theater for an update on the restoration effort—past, present, and future—at East End Cemetery. We’ll share the latest facts and figures, show a selection of photographs, and encourage a community-wide conversation. Come with questions and suggestions! Light refreshments will be served. 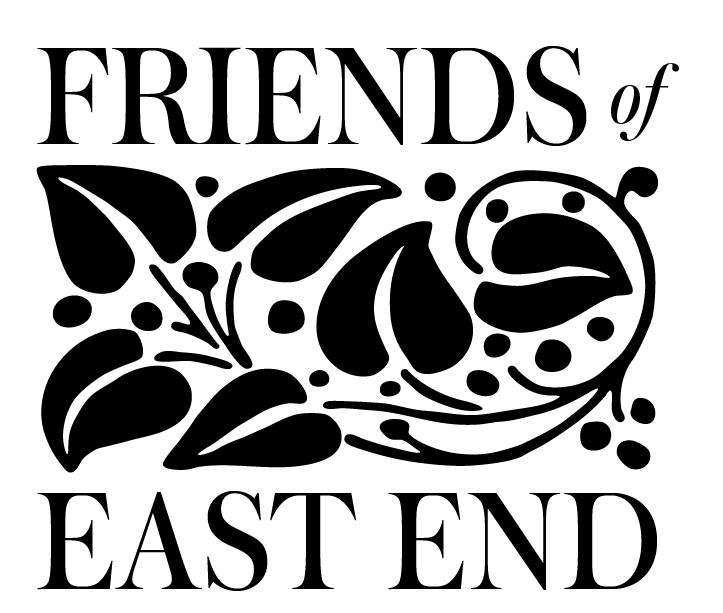 For more information, contact us by email (friendsofeastend@gmail.com), Facebook (@EastEndCemeteryProject), or Instagram (@friendsofeastend). We look forward to seeing you on the 27th! On Martin Luther King Jr. Day, we were thrilled to unveil a new sign (courtesy of donors who prefer to remain anonymous) at the entrance to East End and Evergreen Cemeteries. The fate of the old sign has yet to be determined. This weekend the New York Times ran Brian’s opinion piece on HB1547, a bill before the Virginia Legislature to provide annual funding for the care of historic African American cemeteries. The legislation will almost certainly meet resistance in the General Assembly, which opens January 17. Lawmakers will need encouragement from concerned citizens to pass the bill. We’re asking our supporters in the state of Virginia to contact your legislators to urge them to vote for perpetual care for East End, Evergreen, and other important sites of memory. And the Award for Historic Preservation Goes to . . .
We’ve been waiting for months to announce that John Shuck, who’s been leading the East End cleanup effort since summer 2013, won this year’s Peter H. Brink Award for Individual Achievement in Historic Preservation. Word came down from the National Trust for Historic Preservation in July, but the news was embargoed until last week’s awards ceremony, which took place in Houston. John and his wife, Debbie, traveled to Texas for the event, as did one of our long-distance supporters, who flew in from Miami. The Brink Award “honors an individual who is not a career preservationist but who has made extraordinary contributions toward saving a historic place,” says the National Trust. In the years that John has been working to restore East End Cemetery, thousands of volunteers have waded into the overgrowth to pull ivy, lop briars, haul away fallen trees, and unearth long-buried headstones. Nearly 2,500 grave markers have been revealed, photographed, and posted on Find A Grave. Between three and four acres (out of 16) have been cleared—which might not sound like much if you haven’t been to the cemetery. 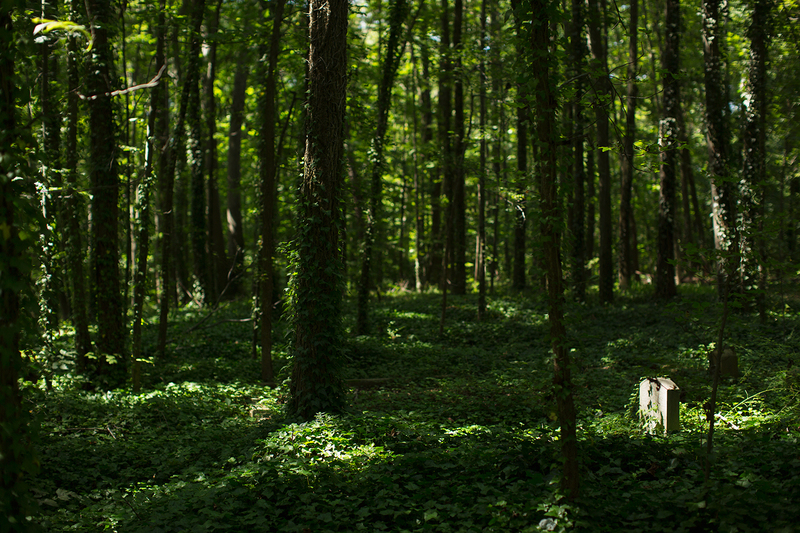 But picture a dense forest, with an occasional headstone poking through the blanket of ivy, privet, and brambles. That’s what all of East End looked like three and a half years ago. Now, in no small part thanks to John’s unflagging commitment, the cemetery has begun to reemerge as a dignified final resting place for thousands of Richmonders. Some of the people interred at East End were born into slavery; some fought in the Civil War; many others were born in the decades following Emancipation. They built families, churches, businesses, social clubs, mutual aid societies—all in the face of ever-present discrimination and, as the 20th century wore on, ever-stricter segregation. There are veterans of World War I, World War II, the Korean War, and Vietnam buried at East End. There are teachers, ministers, doctors, tobacco stemmers, housekeepers, railroad workers. As we uncover their graves, we uncover some of their stories, which in turn allow us to tell a richer, truer story of Richmond. Much work remains to be done, but John shows no signs of slowing down. Just this afternoon, 183 volunteers and five goats fanned out over East End, filling the dumpster, creating a new brush mountain along the road, and revealing many grave markers as they went along. He’ll be back out on Saturday.